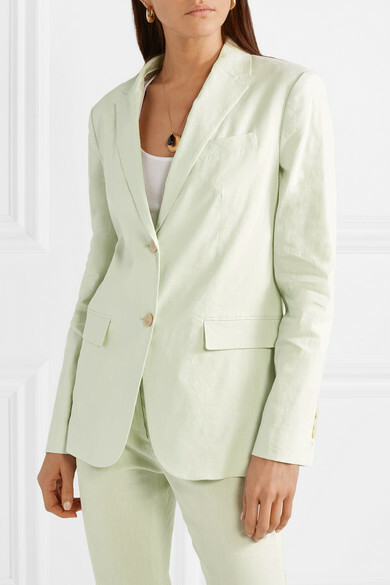 Pastel suiting is having a major moment right now and Theory's blazer is the perfect way to tap into the trend - especially when teamed with the matching pants. 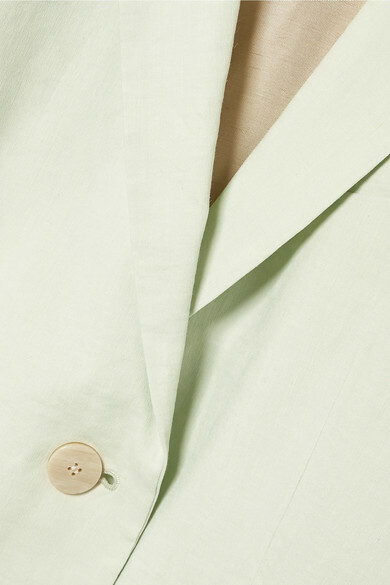 Made from lightweight linen-blend, it's tailored for a slim fit. 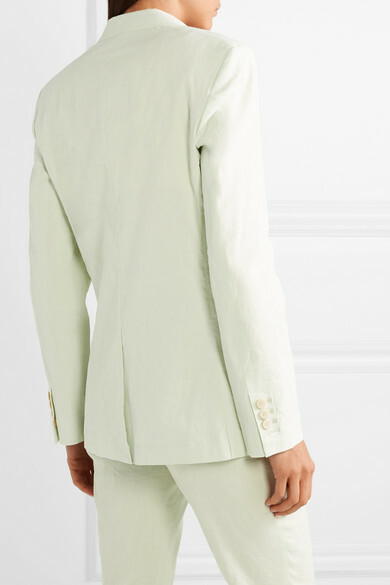 Fasten the marbled buttons to accentuate the nipped-in waist. Shown here with: TL-180 Shoulder bag, Tibi Sandals, Les Girls Les Boys Tank, Alighieri Necklace.